Over the past 15 years TL Home Improvement LLC (TL) has been building expertise and expanding quality service to serve a range of home improvement and renovation service in Shelton, Fairfield, Trumbull, Westport, and throughout nearby areas in Fairfield County Connecticut. Today, TL is one of the most successful home improvement companies in Connecticut. We take pride in siding Installation and repair, roofing replacement, gutter & guards installation and repair, window replacement and carpentry. This is why we have been recognized and certified as GAF Roofing contractor as well as 5 Star GREEN CertainTeed siding contractor. 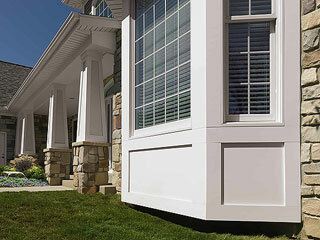 TL is an expert in siding installation and repairs. Contact us for your next vinyl siding installation or repair. James Hardie’s Fiber Cement may lower your home-insurance cost. We are here to help you with your siding needs and installation. Get your gutters flowing like new again! Contact us to get a free quote for new gutters installation or repairs. Trust TL’s expertise for your roofing replacement or repair projects. We will identify the problem and provide you a roofing solution along with a realistic repair timeline. 15+ years of experience installing & repairing energy efficient windows. TL does it all: weatherproofing, window repairing and window replacements. TL offers complete maintenance and custom carpentry services. Our team of experienced craftsmen are here to help you identify what will work best for your home. 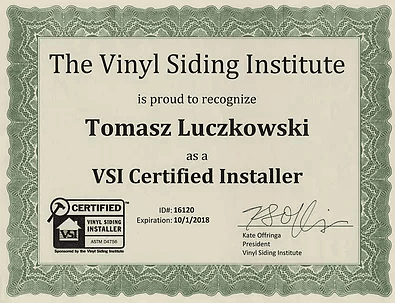 The acknowledgement of being a top certified siding contractor, roofing installer, gutter & guard contractor and window installer in Shelton, Connecticut made us more socially responsible in addressing home improvement needs and earning satisfaction exceeding homeowner’s expectation while enhancing the overall value of the home. We offer fast, professional vinyl, wood and fiber cement siding installation and repairs. We feature most major styles and sizes in a variety of attractive colors. We prefer CertainTeed premium vinyl siding, one of the leading vinyl siding manufacturers in the country. CertainTeed siding has an excellent warranty and stands up to the elements. We’re also proud to offer James Hardie fiber cement siding, a thicker product the cuts a more classic profile. We have the experience to help you select the perfect color and style to best complement your home. Our technicians have been thoroughly trained and have worked in the field for years. When you hire TL Home Improvement for siding installation and repairs you know you’re going to get the best looking, best performing installation possible. Our roofing installers are highly qualified professionals that lead the area for quality and craftsmanship. We make certain all our people are highly trained and fully competent. Our roofing repairs, fix the problem the first time and our roof replacement last. We use premium materials when repairing or replacing roofs, from top manufacturers such as GAF, CertainTeed and Owens Corning. Our installers are meticulous, and they make absolutely certain that every step of the roofing process is done properly so that the finished roof will perform perfectly and last well into the future. Gutter and guards are one of the most important defenses your home has against the elements. Choosing the right gutter contractor for the job is the first step toward a quality installation. Our gutter and gutter guard installers are well-versed in all types of gutter and can choose the materials best suited for your home. Our gutter material of choice is aluminum. It has the best combination of price, strength, and lifespan. And when you have your gutters installed, consider adding gutter guards for the next level of protection. Gutter guards prevent leaves and other debris from ever entering you gutters, which means you never have to clean them, and you never have to worry about clogs or backups, which can overflow your gutters and lead to flooding. We are a leading window installer in Shelton Connecticut. Whether you’re looking for new construction windows or replacement windows, our installers make certain the job is done right, the first time. We favor Andersen windows when installing new construction windows. Their solid fabrication and premium components guarantee lasting good looks and strong performance. For replacement windows we recommend Simonton vinyl replacement windows. Their ease of installation and relatively low cost allows a quality job that won’t break your budget. Plus, they’re more energy efficient than steel or aluminum windows. With double pane construction, and Low E / argon gas between the panes, vinyl replacement windows do an excellent job of keeping the elements at bay. Don’t hire a handyman when a real carpenter is required. Professional carpenters know their craft. They have the experience to build solid and build strong. When results matter and you need to know the job was done properly, hire a carpenter. Our carpenters are highly skilled and experienced in all facets of the trade. Whether you’re looking for a new deck, portico, stairs, trim work, railings or other large scale carpentry projects, trust the professionals with the credentials to back up the quality of their work. Handymen are great for smaller projects, where strength and absolute reliability aren’t important, but if you need to know the job was done right, is safe, and will last, our carpenters will deliver excellent results, every time. ” Tomasz” TL is the real deal. He and his crew completely transformed our home, the result exceeded our expectations. From the first contact all the way through, Tomasz delivered very high professionalism, knowledge, and skills. We looked at multiple siding contractors and hired TL because of his detailed quotes, did what he said, was on time, maintained a clean site and was easy to work with. We’re extremely pleased with the work…. TL home improvement LLC recently did my siding. The team very professional and did a excellent job and the price is very reasonable. I highly recommend TL home improvement. High quality, professional service. Proposal was straightforward with no additional cost surprises. Job was completed in less time than expected. Greatly enjoyed working with Tomasz and his team. Shelton CT, Fairfield CT, Trumbull CT, Westport CT, Stratford CT, Monroe CT, Newtown CT, Milford CT, Orange CT, Easton CT, Weston CT, Norwalk CT, Redding CT, Ridgefield CT, Bethel CT, Wilton CT, Stamford CT, New Canaan CT, Darien CT, Greenwich CT, Woodbridge CT, Seymour CT and surrounding areas.